Reunite with great friends ! 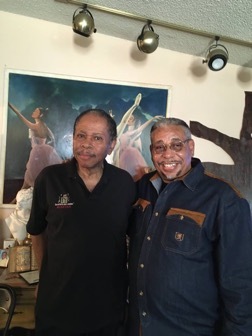 On July 23rd I was able to reunite with Friends and pay tribute to two great giants of men, Dr Louis Thomas and Troy Robinson (original AACM! ) 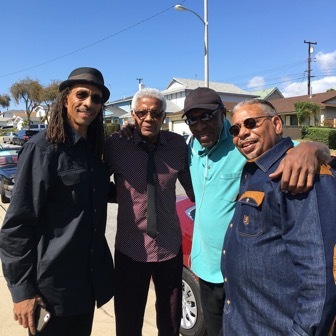 Growth in many ways was for me and countless young men and women of Compton for being blessed to encounter these gentlemen. 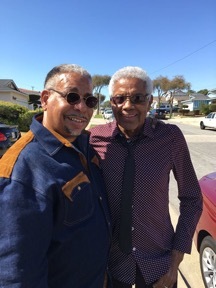 My big band experience started with Mr. Thomas and then Mr.Robinson came and recruited us out the same class to form a community big band at the Communicative Arts Academy, then Watts Towers, playing creative original music from his library of compositions (yeah, everybody had to solo). I am thankful we had people like this to keep us off the streets and to teach us and show us to love, nurture our own creative spirit in music in arts and the like. Big thanks to Mr.Mrs Wynell Montgomery for organizing this wonderful day ! So much to tell, but not this blog this time. Peace, love, music for everyone ! 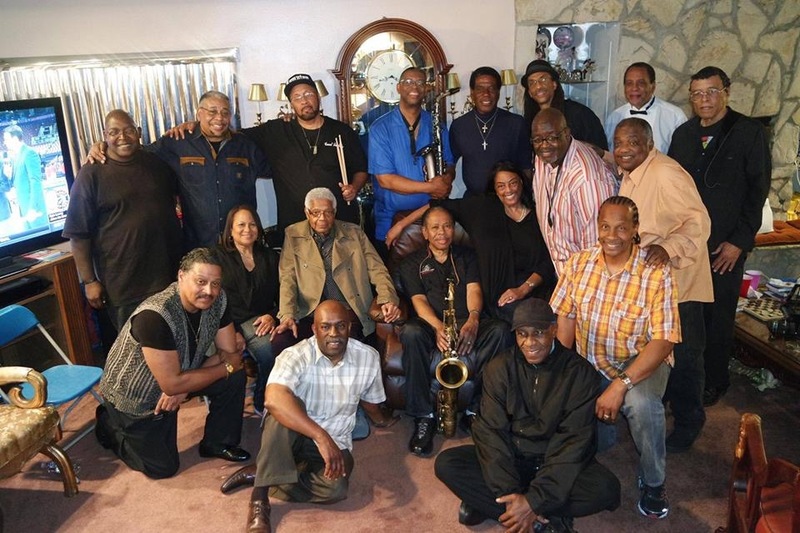 With Gregory Vaughan, Christy Smith, Cheryl Cooley, Lonnie ChipStarr Greene, Troy Robinson, Frederick Dotson, Louis Thomas, Kenneth Meredith, Gay Brown, Kayo Carter, Harvey L. Estrada, Alford R Jackson, James Speed Jr, Kevin Davis, Stanley H Freeman and Henry Adam Prejean.